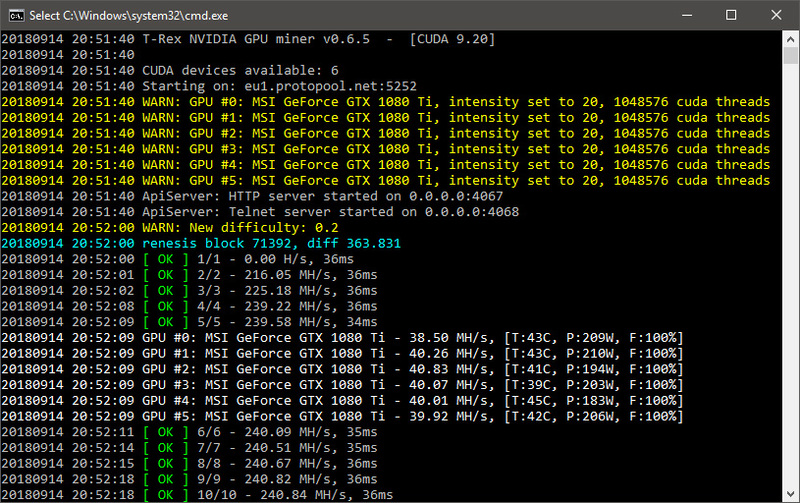 Another quick update to version 0.6.5 for the T-Rex Nvidia GPU miner that brings support for yet another new algorithm – BCD (Bitcoin Diamond), along with some slight improvement to the performance of some of the supported algorithms. The new T-Rex 0.6.5 should bring a speed improvement of about 2-3% in X16r and X17s, Bitcore, Renesis and HMQ1725 over the recently released previous version T-Rex 0.6.4. 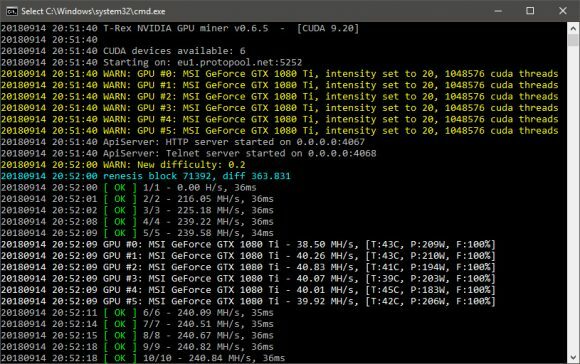 A speed improvement of about 1-3% should also be available for X17, C11 and Sonoa algorithms that the miner also supports compared to the hashrate from the previous release. Do note that the T-Rex is a closed source miner with 1% development fee built-in. Also make sure you have a recent video driver installed as the binaries for both Linux and Windows are compiled for CUDA 9.1/9.2. Testing on a small pool with little hashrate with a single rig at a different time frames… really can’t judge based on that, too much variance from a lot of factors. that is why it was tested for 20 hours. This is for my own purpose, if you want to take it then that is up to you, if not, it wont hurt me any.